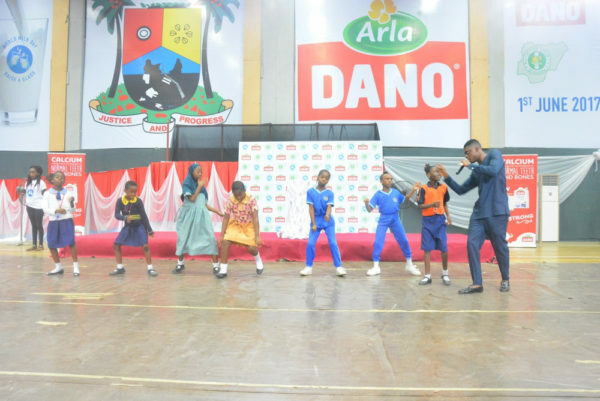 Arla Dano, nutritional dairy product teamed up with the Nutrition Society of Nigeria to raise awareness for milk-intake as it celebrated the 2017 World Milk Day in style with schogol children in Lagos. 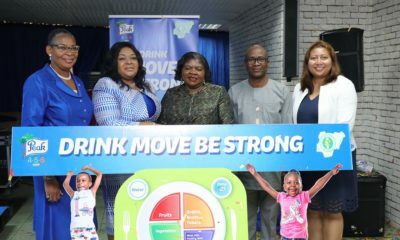 The celebration themed, Raise a Glass, Nourish a Child attracted the presence of the Wife of Lagos State Governor, Bolanle Ambode, Lagos State Deputy Governor, Dr. Idiat Adebule, President, Nutrition Society of Nigeria, Dr. Bartholomew Brai, State Nutrition Officer, Lagos State Ministry of Health, Bunmi Braheem, key officials of the Lagos State Ministry of Health among other key stakeholders in the health and nutrition sector. 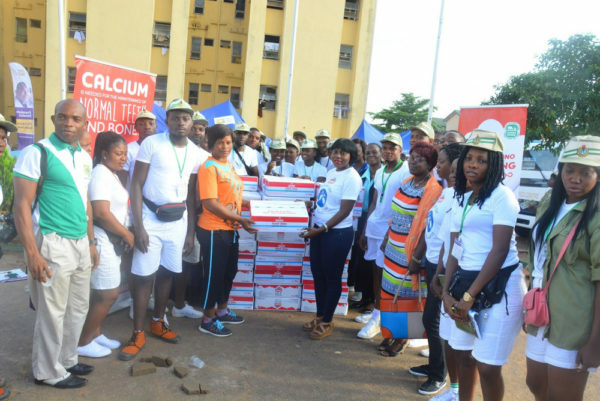 Country Category Manager, Olumide Aniyikaiye in a remark at the celebration enjoined the 2,000 school children who pledged to healthy and nutritional living to consume milk daily. 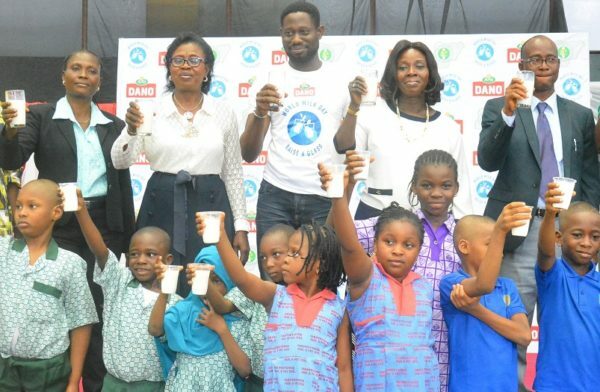 Speaking at the event, Lagos State Deputy Governor, Dr. Idiat Adebule, represented by Kehinde Hazoume at the event highlighted the benefits of milk and commended Dano for bringing school children together for the World Milk Day Celebration. “I appreciate TG Arla for a job well done. It provides an opportunity to focus attention on milk. Milk is beneficial to the human body. It is essential for the well-being and physical development of every child. 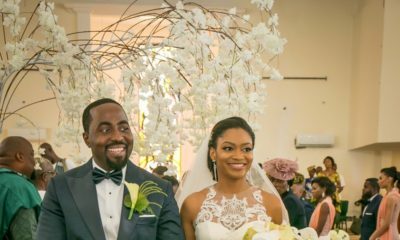 Wife of Lagos State Governor, Bolanle Ambode, represented by Oyinlola Adejare championed milk as an important component of children’s meal. 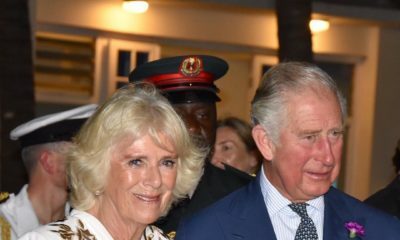 Mrs. Ambode said, “Milk has always been an important nutritional component of a child’s food. Setting aside a day since 2001 to celebrate is a great idea. Milk stands apart as it boosts the power of children’s brain and enhances their physical development. Speaking further, Mrs. Ambode praised Dano for its numerous CSR initiatives and programmes with emphasis on its strong schools and Dano cares Internally Displaced Persons (IDP) campaigns. 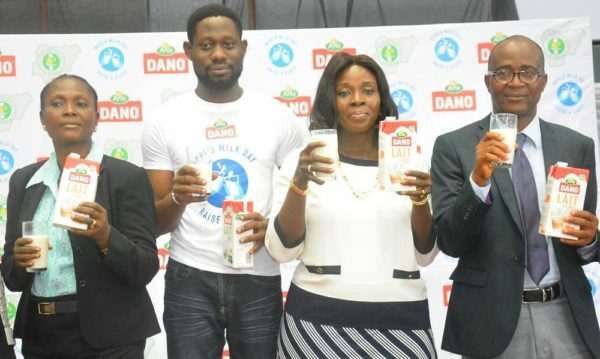 “For many years, TG Arla, producers of Dano milk has occupied the front seat in that industry making and distributing Dano to millions of Nigerian children across the length and breadth of the country. Your strong schools programme aimed at improving the health and nutritional lifestyle of 10million children by 2020 is impressive. Your generosity to the IDP through your Dano cares campaign is equally commendable. 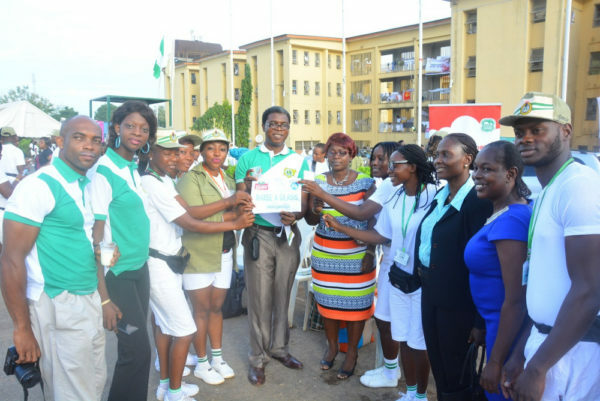 President, Nutrition Society of Nigeria (NSN), Dr. Bartholomew Brai while giving an address at the event showered praises on Dano for taking a bold step by partnering with NSN and contributing to the well-being of Nigerian children. Dr. Brai said, ”We are glad with this strategic partnership with TG Arla, manufacturers of Dano milk. This partnership is part of our resolution to associate with individuals and brands taking significant steps to help get rid of malnutrition of Nigeria. “As a nation willing to curb malnutrition, let’s cultivate the habit of milk drinking. A glass of milk everyday makes that significant difference. 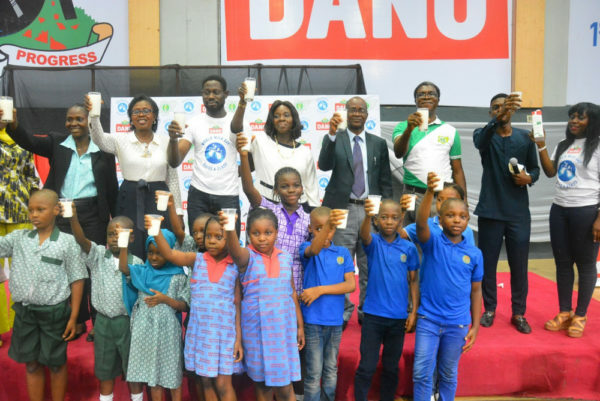 We are proud to associate with Dano on this malnutrition campaign as it is a brand that is contributing positively to the well-being of children in Nigeria”. Assistant Category Manager, Rosette Agbor while appreciating guests and stakeholders who graced the occasion said Dano would continue to provide Nigerian mothers and other Nigerians with healthy, nutritional and affordable range of Milk products, capable of boosting the mental and physical wellbeing for the young and old. The World Milk Day, a significant day created by the Food and Agriculture Organisation (FAO) is celebrated annually on June 1st. It was created in 2001 by FAO to raise awareness for milk as a global food for healthy living. The Day provides stakeholders with the opportunity to focus attention on milk and to publicize activities connected with milk & the milk industry globally.